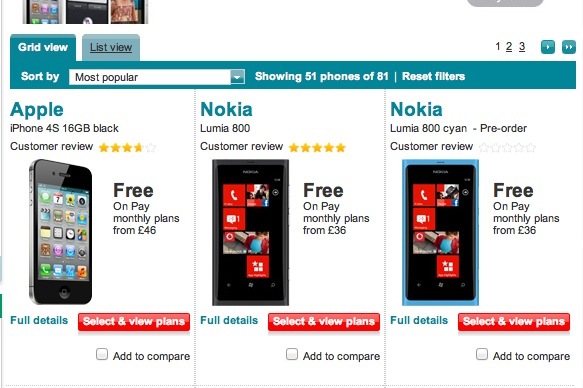 Nokia Lumia 800 takes two top 3 spots in Vodafone’s Most Popular page? 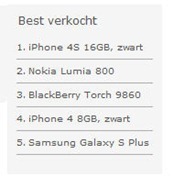 WMPoweruser is reporting that the Nokia Lumia is apparently outselling Android handsets like the Sensation and SGSII, second only to the 16GB iPhone 4S. I don’t know if that’s actually sales but it is clearly on this chart ahead of the new BlackBerry 9900(white), and every other Androids, white iPhones, 32GB iPhones etc. We say two spots because the Cyan version pre-order is taking up position 3. This could confirm what Forbes had mentioned on Nokia supposedly outselling the current BB and Androids as well as Reuters reporting on Nokia’s statement of doing really well in the UK. Orange stores around have been going out of stock – but is that on due to low initial stock? What’s Vodafone’s popularity chart based on? KPN Netherlands store supposedly has the same trend. Can’t find the link but apparently Belcompany and pdashop Netherlands had sold out on the Lumia (not again, relative, what are the numbers?). KPN is a top 80 site in the Netherlands. Vodafone have a best selling chart, but we don’t know what the time frame on that. There’s no Lumia there. That white most popular BB 9900 isn’t there but the black one is. It is just a week since Lumia has been on sale, does their chart update real-time or at least within days? 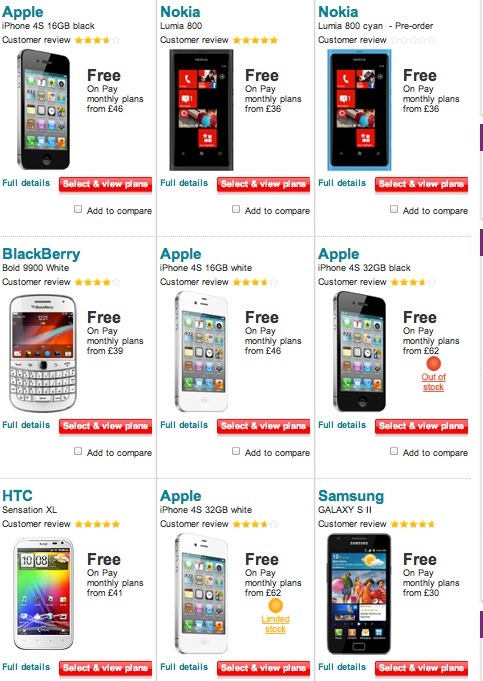 The only thing certain is higher Vodafone customer reviews so far than iPhone 16GB/32GB and Blackberry 9900. Hope it works out at T-Mobile. The coming soon page is still there but it’s now on the list for new phones. They’re not really doing much in the way of promotion like everyone else is putting iPhone everywhere.